Southampton manager Mark Hughes believes that there is plenty of improvement still to come from new signing Mohamed Elyounoussi. The 23-year-old Norway international has signed a five-year contract with the Saints, having spent the last two seasons in Swiss football with FC Basel, for whom has scored 22 goals in 66 league appearances. He is still at a young age as well, so we are confident he can continue to improve and fulfil even more of his potential with us. Elyounoussi has also won 16 caps for Norway to date, scoring four goals, including a hat-trick in a 7-0 win over San Marino in a World Cup 2018 qualifier in October of last year. 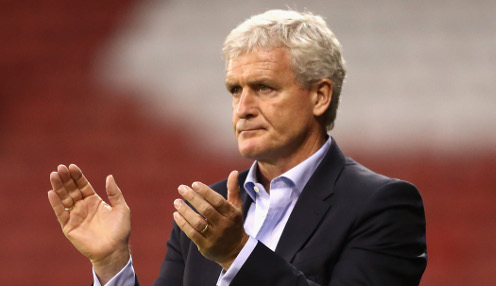 And Hughes, who has also snapped up Stuart Armstrong from Celtic and seen Dusan Tadic depart for Ajax, is more than happy with his latest deal. He told his club's official website: "Mohamed is clearly another very exciting addition to our attacking options. "He has got an outstanding record of goals and assists in two different countries and we have been extremely impressed by the intelligence he has shown in his play from a tactical point of view. "He is still at a young age as well, so we are confident he can continue to improve and fulfil even more of his potential with us." Saints enjoyed an upturn in form during the second half of last season to secure their place in the Premier League for next season, with the South Coast outfit taking seven points from three games before they lost 1-0 to Manchester City on the final day of the season. They can be backed at 150/1 to be relegated next season, while they are 1/100 to finish in the bottom half of the table and 25/1 to finish in the top ten in the Premier League.